Tomorrow Never Dies is a James Bond action/adventure film starring Pierce Brosnan as Bond. In this movie, 007 will come up against Elliot Carver, a media tycoon attempting to broadcast in China with the dastardly plan of incorporating a satellite system to manipulate world events. Bond soon realizes that not only is his former lover now Carver’s wife, Carver is attempting to begin World War III. With the help of British agent Wai Lin, Bond will try to put an end to Carver before it’s too late. 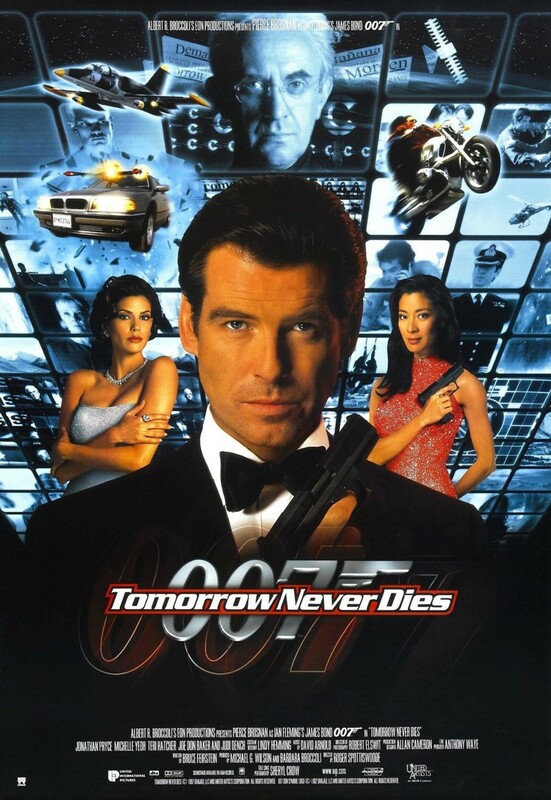 Tomorrow Never Dies also stars Jonathan Pryce, Michelle Yeoh, and Teri Hatcher.